Pyrolytic ovens incinerate hard-to-remove food scraps and spills on the oven walls. Using temperatures close to 500ºC, the pyrolytic self-cleaning cycle lasts for 1.5-2 hours, while the oven door remains securely locked and incredibly cool. · Pyrolytic Electric Ovens incinerate grime and fat stuck on the oven cavity. Built-in or wall mounted, ASKO pyrolytic electric ovens are among the best available, boasting an attractive, minimalist exterior that conceals tremendous cooking and cleaning power. · Clean cycle temperatures of 500ºC means an ASKO Pyrolytic Oven virtually cleans itself. Cleaning includes advanced design oven trays purpose-manufactured for pyrolytic cleaning. Simply wipe away any residue and the job is done. An ASKO pyrolytic oven is always a showpiece. · Single/Double door choices are pyrolytic oven essentials, with ASKOs ‘quadruple glazed door’, including a reflective coating between each layer of glass, keeping the oven, the kitchen and the chef cool even during intense cooking. 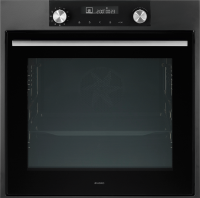 The oven door automatically locks for the duration of pyrolytic cleaning, in safety-first ASKO style. · Multifunction makes sense when appliance manufacturers and developers utilise the full capacity of electric oven features. Electricity equals heat that is used by industry-leading ASKO pyrolytic ovens for multifunctional convenience. Benefits include zero scrubbing, scouring or harsh chemicals. 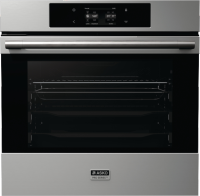 To learn about pyrolytic ovens, visit our buyers guide. How to clean a pyrolytic oven? Progressive appliances are user-programmed and fully automated. ASKO pyrolytic cleaning is where the oven takes over completely while you relax. Pyrolytic oven cleaning is an occasional or scheduled maintenance program that ensures your appliance always looks and functions its best. Electric ovens facilitate automated programming for cleaning without the chef having to lift a finger. The clean cycle is complete in 1.5-2 hours, and when the oven has safely cooled a soft cloth can be used to brush away any residual ash. As with all ASKO appliances, the exterior is also easily cleaned and maintained for complete kitchen style. 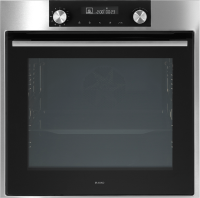 What are some ASKO Pyrolytic Oven reviews? · Series 3 Pro Series Pyrolytic Oven OP8636S: Built-in for long-lasting usability, performance and kitchen-clean multifunctionality. 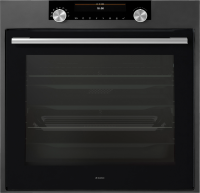 · Elements Pyrolytic Oven OP8678G: Wall oven options include ‘elements’ that are user-friendly and compatible with other appliances for all-round kitchen functionality. · Built-in Pyrolytic Craft Oven OP8687S: A stainless-steel appliance option with versatile ‘craft’ features for personalising the cooking experience. What is the best ASKO Pyrolytic Oven? 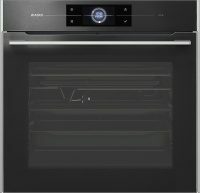 Every step of ASKO oven development results in improvements for the appliance user. Since the genesis of ASKO in 1950, a desire to build more reliable, multifunctional appliances has been the goal, and today’s ASKO Pyrolytic Oven product range is no exception. What are the features of a Pyrolytic Oven? The uptake of technology by oven manufacturers has taken consumers by surprise, and today’s appliances are incredibly advanced compared to those of yesteryear. New home designs incorporate the best of convenient living choices, with kitchens benefiting more than any other room, and cooks the big winners. ASKO ovens and appliances are multifunctional, programable and personalised to assist with every step of cooking from planning to completion. ASKO Pyrolytic Ovens take kitchen convenience one step further, using pyrolysis (heat) to clean the oven interior when the cooking is done. 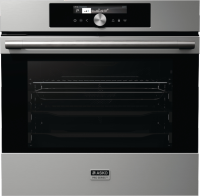 ASKO pyrolytic ovens are a natural progression for award winning ASKO oven designers and manufacturers. The integrity of Scandinavian appliances is well known due to the use of long-lasting components and traditional cooking principles that have stood the test of time. Heat retention and insulation are essential for surviving a cold climate, and for creating the most effective pyrolytic ovens. An ASKO pyrolytic oven can reduce oven residue, grease and grime to a pile of ashes that is simply swept away. ASKO ovens are the innovative and smart choice for contemporary kitchens. The best technology is also good for the environment, and ASKO pyrolytic ovens are built with sustainability in mind. The appliances are designed to maximise energy-efficiency using sturdy, valuable and recyclable metal components. Pyrolytic cleaning uses a surprisingly small amount of electricity, and is a much cheaper alternative to purchasing the products and accessories needed for strenuous, old-fashioned oven cleaning. To learn more about the value of pyrolytic ovens, visit our value page. Chefs who are sensitive to harsh and abrasive cleaning solvents and solutions can return to the kitchen with confidence. Pyrolysis is a major oven advantage, as are many other ASKO oven functions including ‘defrost’, ‘plate warming’ and the extensive ‘programs’ menu. ASKO pyrolysis ovens introduce the user to hands-off cooking where the oven takes charge. Additionally, ASKO pyrolytic oven controls are simple to navigate using the high definition touch-screen icons. Our FAQ page provides answers to many similar questions. 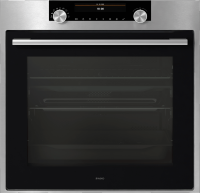 ASKO oven choices are vast, in keeping with modern consumer expectations. Users are spoilt for quality and choice with the range of pyrolytic ovens, steam ovens, combi ovens, craft ovens and more. Contemporary kitchen design incorporates classic elements and progressive innovations, and ASKO ovens get the balance right. The sleek, minimalist exterior of an ASKO pyrolytic oven conceals cutting-edge technology, multifunctional programs and a powerful capacity to cook the full spectrum of meal choices. ASKO pyrolytic ovens use famous wood fire oven principles for even heat distribution, along with heating elements, grills and fans that work independently or multi-task together to provide the perfect oven for achieving attractive, succulent and tasty results. ASKO pyrolytic ovens remain clean, ensuring food always tastes fresh and untainted, without unwanted smoke or fumes. Every feature of an ASKO pyrolytic oven is designed for convenience, from the soft-closing door to pre-programable step cooking where the smart oven recalibrates and resets itself for every phase of the cooking procedure. To learn more about the convenient features of our pyrolytic ovens, visit our Features page. Where can I see a demonstration of how a pyrolytic oven works?